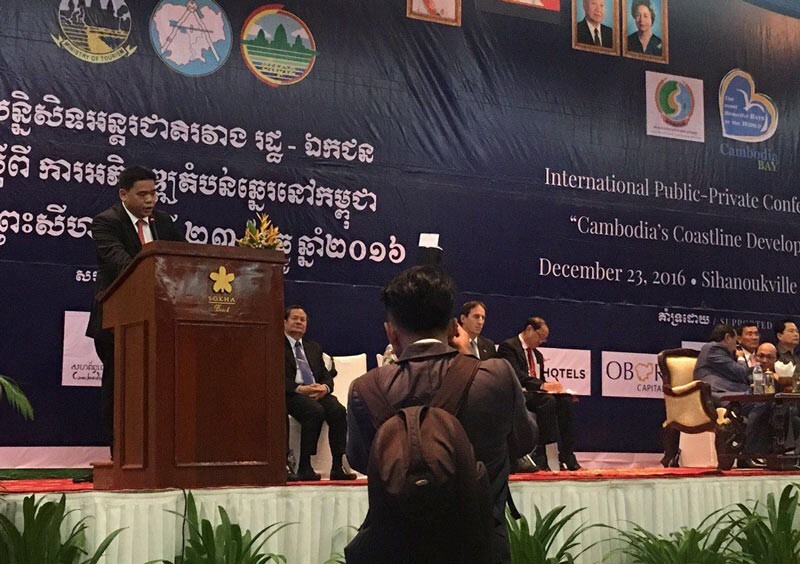 The National Committee for the Management and Development of the Coastal Zone (NCMD), in collaboration with the European Chamber of Commerce and the Cambodian Tourism Federation, organized the International Public-Private Conference on “Cambodia’s Coastline Development” on 23 December 2016. The conference was presided over by H.E. Thong Khon, Minister of Tourism and Vice-Permanent President of the National Committee for the Management and Development of Cambodia’s Coastline and closed later on the day by H.E. Chea Sophara, Senior Minister and Minister of Land Management, Urbanism and Construction, who is also the committee’s president. 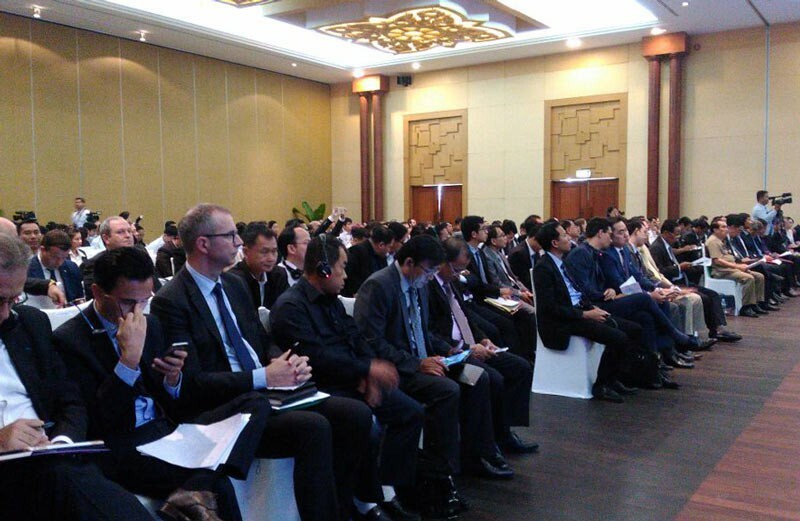 The event was attended by over 300 representatives from ministries, institutions, relevant bodies at both national and sub-national authorities of the coastal areas, the private sector, NGOs, and researchers. The conference put forth a set of recommendations to serve as a vision and inputs for further consideration in drawing up a plan to manage and develop Cambodia’s coastal zones in ways that will ensure their sustainability. The recommendations also aim to promote – from social, economical, cultural, and environmental point of views – high responsibility in implementing future coastal development programs. This will include the needs to strengthen service quality and develop new tourism products; to introduce basic infrastructure in development zones and other potential sites; to prepare a detailed master plan; to create legal framework necessary to respond to development challenges and support conservation; and to put in place a road network plan to connect the coastal zones via land, sea, and air. Last but not least, a comprehensive marketing strategy will be crucial to turn Cambodia’s coastal zones into a catalyst for attracting investment and creating jobs to lift the living standard of the local people. The conference also reflected on the government-private sector partnership. The reflection clearly demonstrates the high emphasis the Royal Government has placed on the need to nurture cooperation with the private sector in developing the coastal zones to become the second economic pillar for attracting foreign investment after Phnom Penh, the capital. In this regard, the Royal Government has already designated Preah Sihanouk province as a special multi-purpose economic zone. It should also be noted that the conference was also a major milestone contributing to the 5th Sea Festival that was held on 23-25 December 2016. The corresponding report and recommendations are now available in Khmer and English. In this occasion EuroCham Cambodia would like to thank all participants and our sponsors: Thalias; Citystar; Accor Hotels; Obor Capital and Cambodia Airports. H.E. 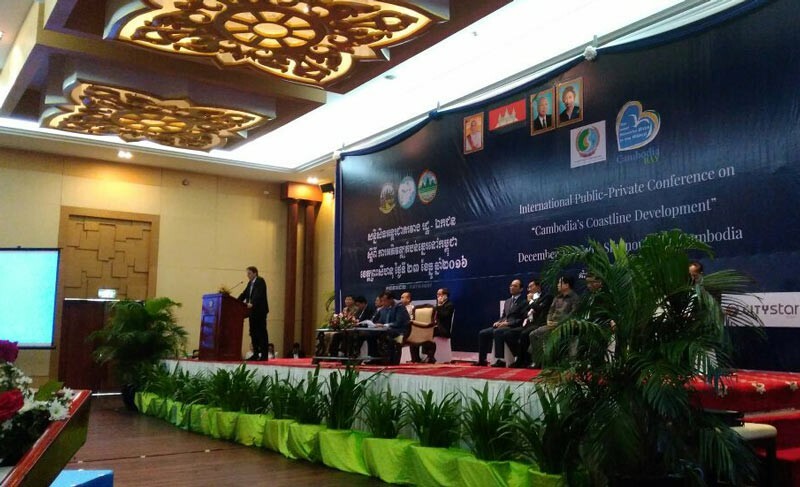 Dr. George Edgar speaking at the international conference in Sihanoukville. The Head of EuroCham's Tourism Committee, Luu Meng. The event saw near to 150 participants.